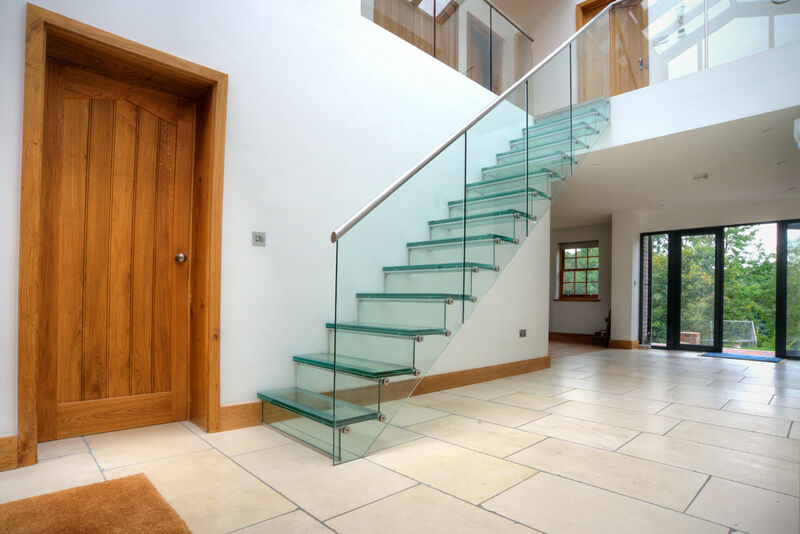 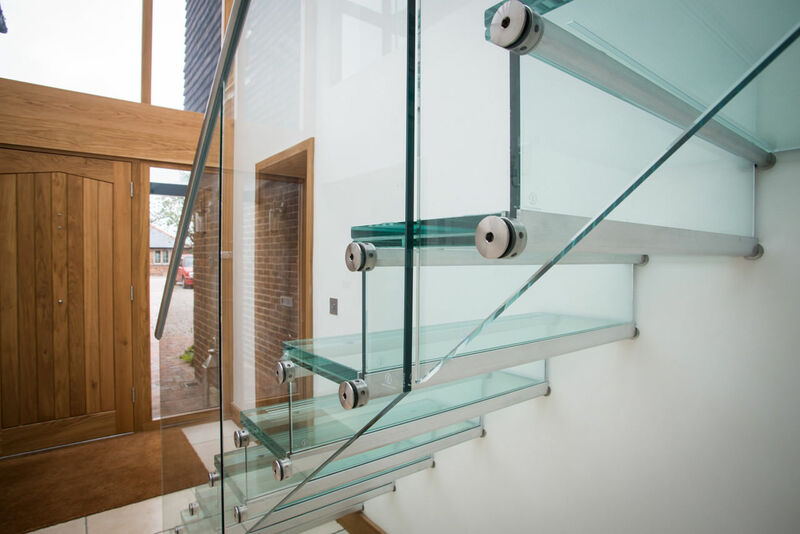 The stringer of this G-Fin type staircase has been buried beneath the wall finishes to give the appearance that the glass treads are floating. 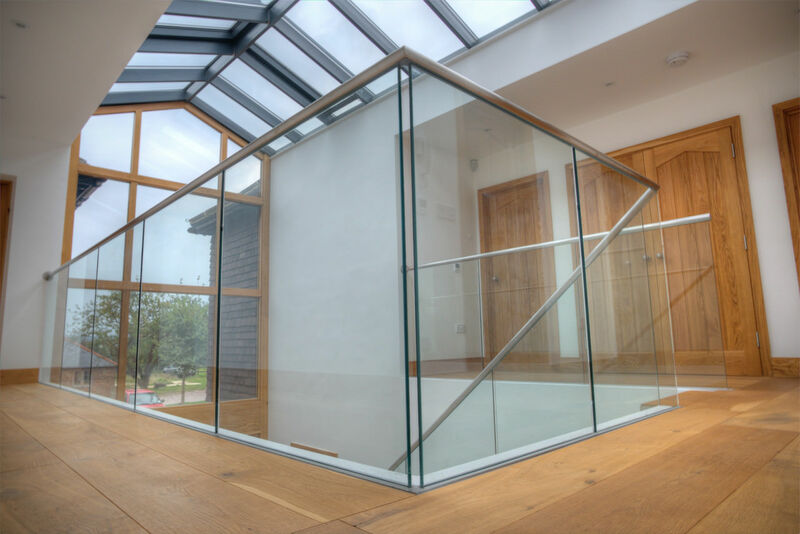 All the glass has been left clear to avoid disrupting the light from the spacious atrium. 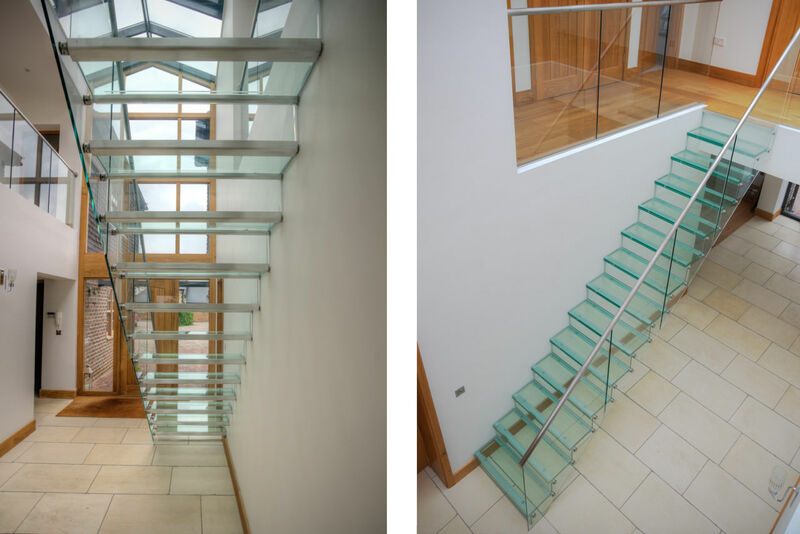 The staircase provides a stunning first floor link between an existing building and new build extension to a modernised Surrey farm house.